Hand towards the Sun. Freedom and Happiness at Sunset. Island of Koh Samui. Thailand. Slow Motion. HD, 1920x1080. hd00:27Hand towards the Sun. Freedom and Happiness at Sunset. 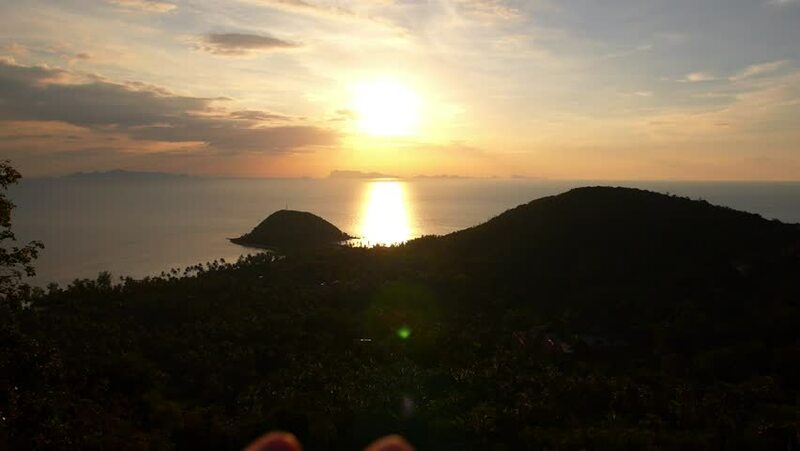 Island of Koh Samui. Thailand. Slow Motion. HD, 1920x1080. 4k00:13Aerial view of Phan-nga bay in sunrise, tropical view point. hd00:25Landscape of sunrise at limestone karsts in Phang-nga bay at sunrise. Unseen place of "Samed Nangshe" or "Samet Nangchee" in Phang Nga province, Thailand. 4k00:15Sunrise Botafogo Bay landmark. Aerial view through the atlantic forest trees during the magic hour. Rio de Janeiro, Brasil - Olympic city 2016. 4k00:10A beautiful time lapse of the sunset seen from the top of Koh Phi Phi Don (Phi Phi Island) in the Andaman sea in Thailand. Location: Phi Phi Island (Koh Phi Phi Don), Thailand. 4k00:19Honolulu, Oahu, Hawaii circa-2018, Beautiful sunset over Maunalua Bay with Koko Crater in distance. Shot with Cineflex and RED Epic-W Helium.